The EU’s proposed copyright reform keeps in place retrograde laws that make many normal online creative acts illegal. The same restrictive laws will stifle innovation and hurt technology businesses. Let’s fix it. Sign Mozilla’s petition, watch and share videos, and snap a rebellious selfie. Earlier this month, the EU Commission released their proposal for a reformed copyright framework. In response, we are asking everyone reading this post to take a rebellious selfie and send that doctored snapshot to EU Parliament. Seem ridiculous? So is an outdated law that bans taking and sharing selfies in front of the Eiffel Tower at night in Paris, or in front of the Little Mermaid in Copenhagen. Of course, no one is actually going to jail for subversive selfies. But the technical illegality of such a basic online act underscores the grave shortcomings in the EU’s latest proposal on copyright reform. As Mozilla’s Denelle Dixon-Thayer noted in her last post on the proposed reform, it “thoroughly misses the goal to deliver a modern reform that would unlock creativity and innovation.” It doesn’t, for instance, include needed exceptions for panorama, parody, or remixing, nor does it include a clause that would allow noncommercial transformations of works (like remixes, or mashups) or a flexible user clause like an open norm, or fair dealing. Translation? Making memes and gifs will remain an illicit act. And that’s just the start. Exceptions for text and data mining are limited to public institutions. This could stifle startups looking to online data to build innovative businesses. Then there is the dangerous “neighbouring right,” similar to the ancillary copyright laws we’ve seen in Spain and Germany (which have been clear failures, respectively). This misguided part of the reform would allow online publishers to copyright “press publications” for up to 20 years, with retroactive effect. The vague wording makes it unclear exactly to whom and for whom this new exclusive right would apply. Finally, another unclear provision would require any internet service that provides access to “large amounts” of works to users to broker agreements with rightsholders for the use of, and protection of, their works. 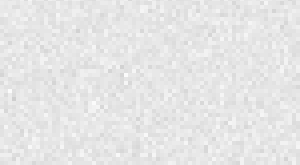 This could include the use of “effective content recognition technologies” — which imply universal monitoring and strict filtering technologies that identify and/or remove copyrighted content. These proposals, if adopted as they are, would deal a blow to EU startups, to independent coders, creators, and artists, and to the health of the internet as a driver for economic growth and innovation. We’re not advocating plagiarism or piracy. Creators must be treated fairly, including proper remuneration, for their creations and works. Mozilla wants to improve copyright for everyone, so individuals are not discouraged from creating and innovating. Mozilla isn’t alone in our objections: Over 50,000 individuals have signed our petition and demanded modern copyright laws that foster creativity, innovation, and opportunity online. We have our work cut out for us. As the European Parliament revises the proposal this fall, we need a movement — a collection of passionate internet users who demand better, modern laws. Today, Mozilla is launching a public education campaign to support that movement. Mozilla has created an app to highlight the absurdity of some of Europe’s outdated copyright laws. 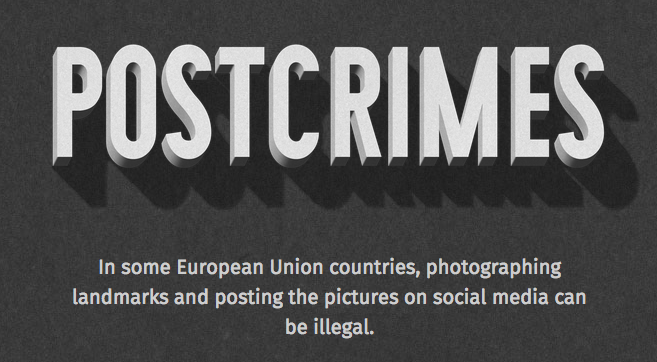 Try Post Crimes: Take a selfie in front of European landmarks that can be technically unlawful to photograph — like the Eiffel Tower’s night-time light display, or the Little Mermaid in Denmark — due to restrictive copyright laws. Then, send your selfie as a postcard to your Member of the European Parliament (MEP). Show European policymakers how outdated copyright laws are, and encourage them to forge a more future-looking and innovation-friendly copyright reform. We’ve also created three short videos that outline the need for reform. They’re educational, playful, and a little bit weird — just like the internet. But they explore a serious issue: The harmful effect outdated and restrictive copyright laws have on our creativity and the open internet. We hope you’ll watch them and share them with others. We need your help standing up for better copyright laws. When you sign the petition, snap a selfie, or share our videos, you’re supporting creativity, innovation and opportunity online — for everyone.